We've had a lovely day today. Staff battled in from near and far and we had 156 children with us. Thanks to all who passed on their appreciation for the staff's dedication. From Mr Stubbs walking in from the other side of Carlton to open up, the cooks being in at about 5:30am, Mr Pattison fighting his way through from Arctic Mansfield and one of our sports coaches making it from even-more-Arctic Worksop. 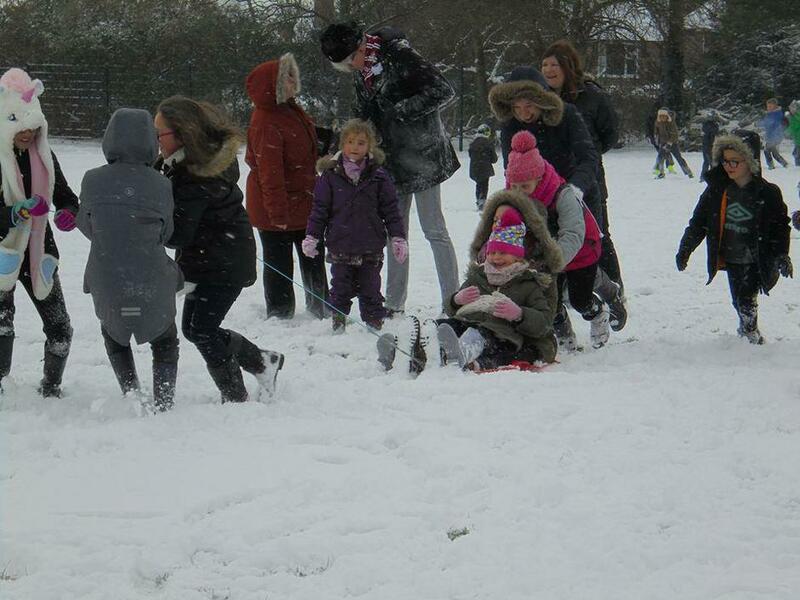 We know some families had adventurous journeys in and it was lovely to see so many sledges! 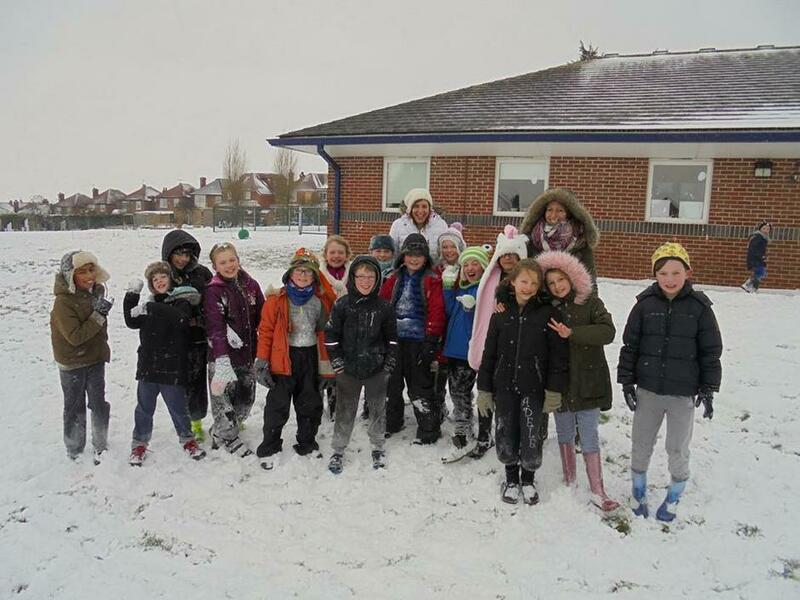 We had a good play on the field, with snowmen (although the snow was a bit powdery really), snowball fights (for some reason, Mr Hillier seem to be picked on for attack) and a sledge race with children and staff involved. All classes went off-timetable and there were mini-cinemas set up and lots of fun activities. No Literacy Hour or the like! 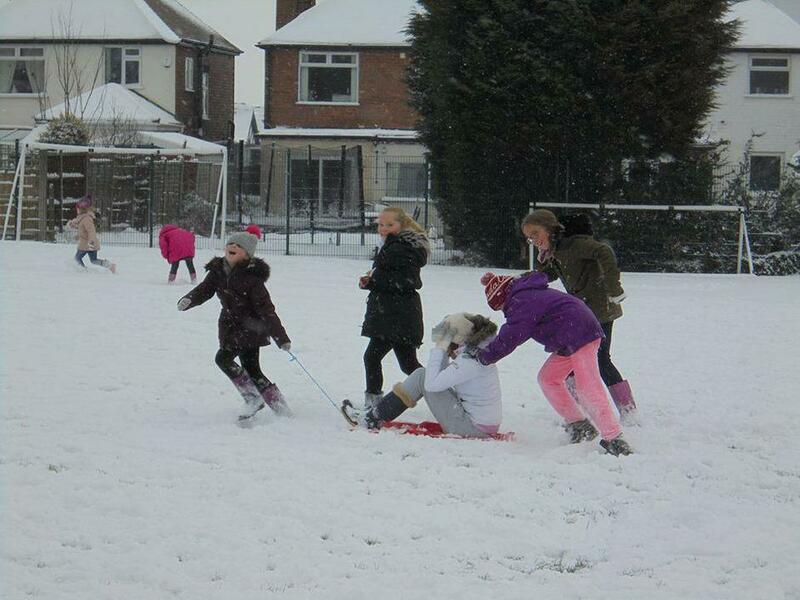 We are expecting tomorrow to be a similar day to today, with no significant new snow but still freezing conditions. We would imagine that school will be open in a similar way to today (Thursday), with the same rules about uniform and absence. We will try to get out to play in the snow! It is 'Snuggle Up and Read Day'. 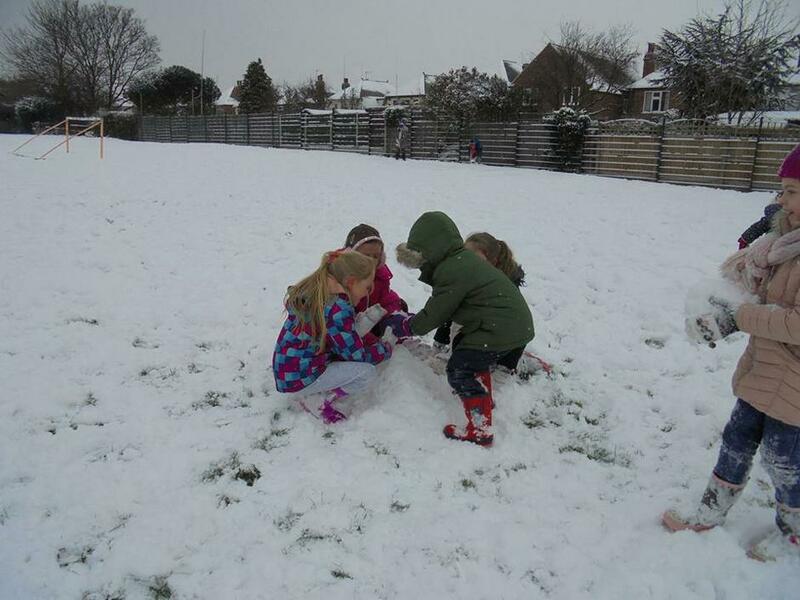 Children are still welcome to bring pyjamas, onesies, dressing gowns, slippers etc to wear indoors. School is lovely and warm! We are still expecting our visit from Olympic athlete, Eden Francis, but can't be sure she'll make it! If we are open and you opt not to send your child in, we will need to know about it. Email is preferable as the phones will be mega-busy: absence3@parkdale.notts.sch.uk. Thanks to all who did this today. There will be no clubs, Book Fair, boosters or One to One tuition.